The reception desk is open from 9:00 a.m. to 9:00 p.m. Accommodation can be booked by phone during the office hours of the reception desk. Due to a considerable demand for accommodation in our Hut, booking should be made even a year in advance. Only cash payment is accepted. There is a cash machine on site. Discounts of PTTK (Polish Tourist and Sightseeing Society), Alpenverein, HDK (Honorary Blood Donor) and Big Family Card are granted on the basis of valid membership cards. Bank account no. : 05 1240 5165 1111 0010 3046 6754. In case of cancellation, down payment is reimbursed up to 2 weeks before the date booked. A resort tax of 1.30 PLN is added to the accommodation prices. The Hut offers emergency accommodation (a place to sleep on the floor) in accordance with the Rules of PTTK Hostels. The price of a place on the floor is equal to the cheapest accommodation price (according to the current price list). The kitchen in the New Hut is open from 7:00 a.m. to 9:00 p.m. in high season and from 9:00 a.m. to 6:00 p.m. in low season. Boiling water is free for tourists with their own utensils and served without having to queue. Payment by card is not possible. Apart from the restaurant, there is also a small shop in our Hut. The “Buffet” shop is open from 8:00 a.m. to 7:00 p.m. in high season and from 9:00 a.m. to 6:00 p.m. in low season. The shop sells e.g. soft drinks, sweets, souvenirs, publications (including mountain literature) and basic tourist equipment. Our guests can use the avalanche and winter equipment rental. The prices below are per one day. 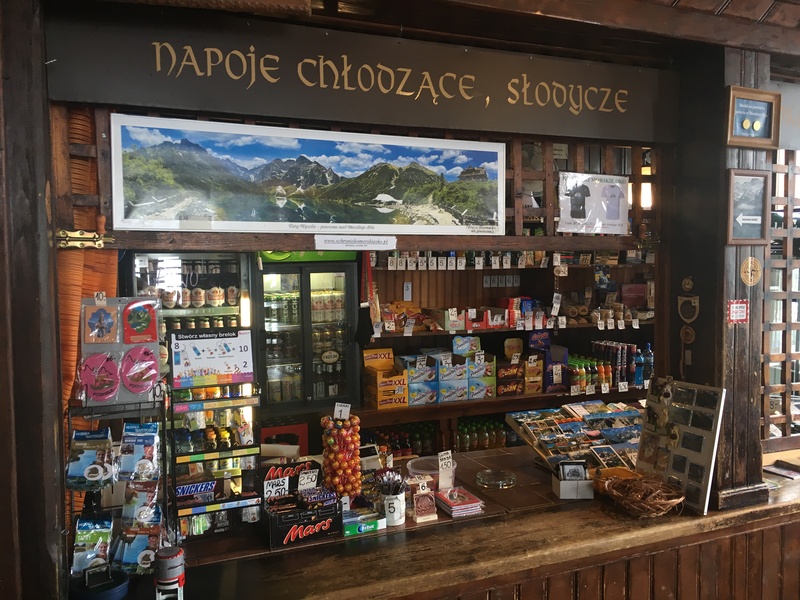 Morskie Oko Mountain School is an initiative of the Tatra Guides group, intended mainly for people who begin their adventure with the Tatra Mountains and who want to stay safe on alpine trails. In our hikes and training courses we use many years of experience we have gained at running courses, workshops and treks in the Tatras. However, we aim to expand our offer with elements which go beyond these standard activities. Therefore, we invite you to take part in our training courses and workshops on introduction to advanced tourism in the Tatra Mountains, climbing, self-rescue, navigation and first aid. However, our focus is not only on safety, this is why we also offer training courses on natural environment, topography and history, aimed at more conscious exploration of the Tatras.